Bulk Bubblicious Bubble Gum, Halls Cough Drops, and Dentyne Pure from Cadbury-Adams. Wholesale prices, shop in bulk. For parties, afterschool snacks, movie afternoons, school events, candy buffets, goody bags, candy dishes, TV nights and to soothe stuffy noses and scratchy throats, we’re a huge fan of snacks, sweets, treats, gum and lozenges from Cadbury-Adams. And here at Sweet City Candy, we sell a full range of wrapped, unwrapped and movie theater boxes of Cadbury-Adams salty, sweet, sour, minty, chewy and tart snacks and confections in bulk at wholesale prices. It’s impossible to think of Cadbury-Adams without talking about its amazing array of lollipops, perfect for birthday parties, Christmas Stocking and trick or treat or goody bags. Choose from Smiley Face, Comic Animal and, Fruit Lick Whirly Pop Lollipops, Conversation Twirl Pop Lollipops, Luv Pops Lollipops, Unicorn Pops Lollipops, Unicorn Pops Mini Lollipops, Happy Birthday Whirly Pop Lollipops and Whirlybration Fun Lollipops. We also feature Cadbury-Adams Whirly Pop Lollipops in a rainbow of colors to coordinate with birthdays, team events, school functions, cheerleader meets, kids clubs and scout troop meetings, Sweet 16s and baby showers, to name just a few. Choose from Whirly Pop Lollipops in Hot Pink and White, Black & White, Light Blue and White, Light Pink and White, Multi-Colored Brights, Gummy candy, Swedish Fish and Sour Patch kids are other claims to Cadbury-Adams confections fame. And there’s no denying the fun, festive and flavorful impact chewy candy lends to any after school treat, movie afternoon, holiday, party or any other special occasion you can think of. Sweet City Candy sells a fantastic variety of wrapped, unwrapped and movie theater boxes of Cadbury-Adams chewy candy, including Mini Red Swedish Fish, Large Assorted Swedish Fish, Sour Patch Peaches, Sour Patch Cherries, Sour Patch Watermelon, Sour Patch Fruit Salad, Large Red Swedish Fish, Aqualife Swedish Fish, Sour Patch Kids, Mini Assorted Swedish Fish and Sour Apple Slices. We like to color coordinate these chewy confections with holidays, such as Halloween, Christmas, Chanukah, Valentine’s Day, St. Patrick’s Day, Easter and Independence Day. We also color match Cadbury-Adams confections with Sweet 16s, Bar and Bat Mitzvahs, weddings, baby showers, birthday parties, team meets, school parties, as well as tropical and seasonal celebrations for winter, spring, summer and fall. They’re also perfect for filling candy dishes, candy buffets, dessert bars and goody bags and as wholesome treats for movie nights and in front of the TV. 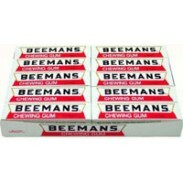 Cadbury-Adams is also famous for its amazing assortment of gum. Sweet City Candy carries Bublicious gum in Cotton Candy, Bubblegum and Watermelon, as well as Classic, Peppermint, Fruit and Tiny Chiclets, Spearmint Freshen Up Gum and Dentyne Pure in Mint with Herbal and Mint with Melon. 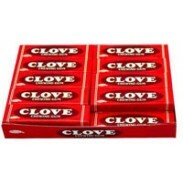 And for the ultimate in Fresh Breath, there’s Cadbury-Adams’ Clorets brand. Meanwhile No Easter or Halloween would be complete with Cadbury’s beloved and deliciously decadent Crème, Mini and Screme Eggs. And we couldn’t see getting through a bad cold without Cadbury-Adams classic Halls remedy. Sweet City Candy carries these throat-soothing and sniffles-beating lozenges in Cherry, Honey Lemon and Menthol varieties.